You can integrate WP Forms integration in AMP with the help of an extension called WP Forms for AMP. It’s pretty easy for you to set up because it works out of the box. Here are a few simple steps to using WP Forms for AMP. After downloading WP Forms for AMP on your Desktop follow the below-given steps. 1. Go to Plugins > Add New then click on Upload Plugin. 2. WP Forms for AMP. is a Paid Plugin Extension. You won’t find that extension in the WordPress Plugin directory. So you have to upload this plugin after purchasing. then choose ” WP Forms for AMP. ” Extension from which you already downloaded after purchase. 3. After Uploading the plugin, Click on Activate Plugin. 4. Done! The contact forms will be visible on the AMP version of your site. Create new Post /Page and in this posts, Add Form option will be shown. Once you click on Add Form option this popup messages will be shown. 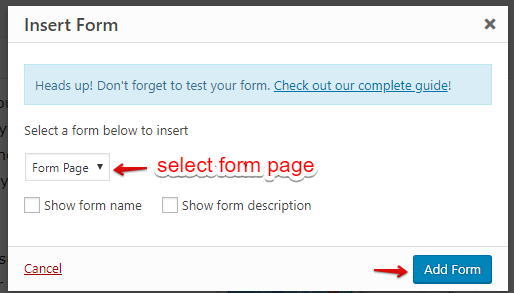 You need to select the form page and click on the Add form button. 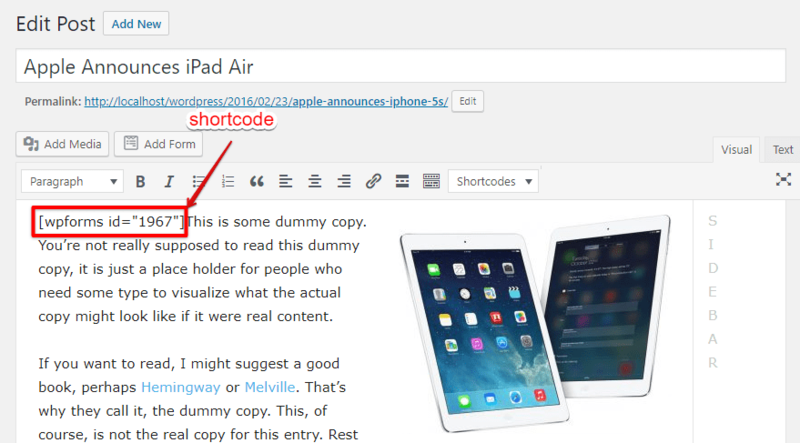 Shortcode will appear on the post. Click on update button see the output on the browser. 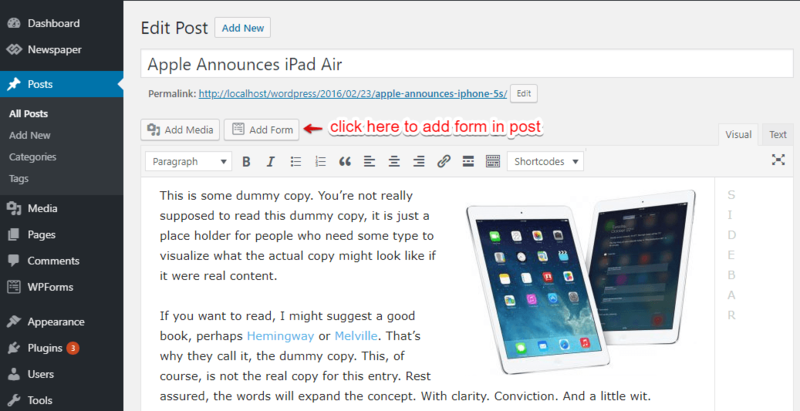 NOTE: This extension requires WP Forms, which is a commercial plugin.